Richard Kelly's cult movie returns to UK cinemas in a new 4K restoration. 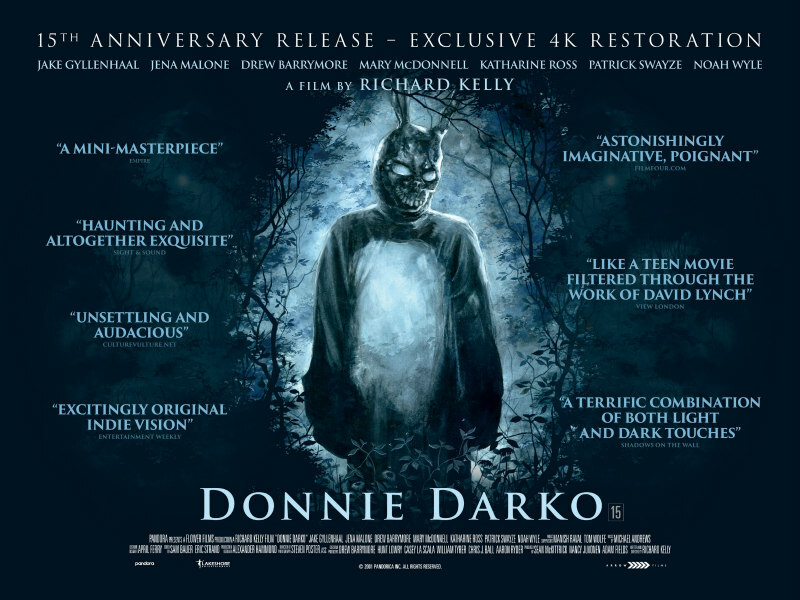 I challenge you to name a more original, more absorbing, more infuriating, more endearing, more poignant, more genre-bending or more evergreen, tragi-comic-coming-of-age-time-warp-sci-fi-riddle-skull-faced-giant-rabbit-horror-drama than Donnie Darko. Admittedly, this is almost a daily occurrence with me, but today it is particularly significant as it is December 2nd, and I have just come out of a special 15th anniversary screening of Donnie Darko, Richard Kelly’s much beloved and oft debated cult movie. Donnie Darko has been firmly entrenched in my favourite top 10 films since it first hit cinema screens in 2001. I re-watch it fairly regularly, every year or two, and I’m always engrossed. If you’re expecting me to explain the movie for you, I’m afraid that I’m just as unlikely to do so as Kelly or Jake Gyllenhaal themselves. Besides, you know you don’t really want me to, because if I did explain what every twist in the film means and how it all fits together, the movie wouldn’t be half as much fun, or intrigue you half as much. No-one really wants to see inside the workings of a cuckoo clock, they just want to see the odd little bird pop out. Donnie, unusually for a teen in the movies, comes from a happy home. His mother (Mary McDonnell) is sensible and loving in the face of distress, his father (Holmes Osborne) is cheerful and imperturbable. When called in for a conference with the principal, his parents show their intelligence and groundedness by being less shocked than rightfully amused. In Gyllenhaal, Kelly found a young actor adeptly able to suggest a character who is disturbed, but never frightening. Gyllenhaal’s Donnie is instead, perceptive, curious, eccentric, sardonic, sometimes lost or vengeful, yet he always remains sympathetic and compelling. Imitations and sequels have fallen by the wayside because of the simple fact that Donnie Darko is a one-off - a unique moment when the planets aligned for Kelly - when time, era, words, images and music were right, and his odd little bag of ideas twitched into life. The act of successful creation can be a disconcertingly arbitrary event. It’s not easy to re-create either, as Kelly has since found. 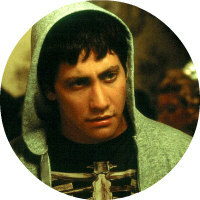 Donnie Darko was his first feature out of film school and was nominated for 21 awards, winning 11 of them. The film later ended up as number 2 on Empire magazine's list of 50 greatest independent films of all time. 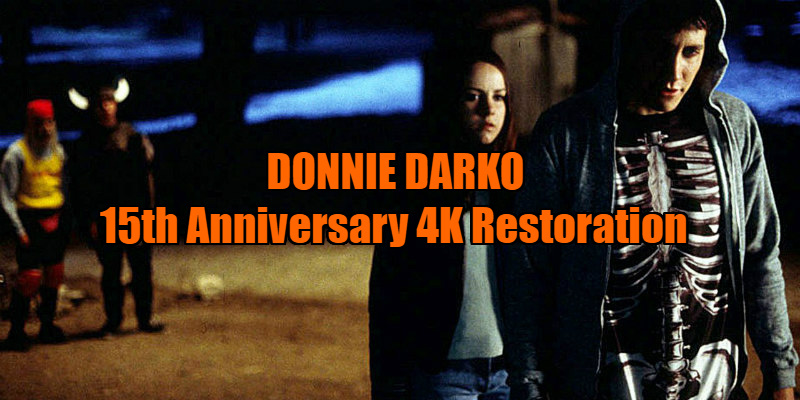 Donnie Darko: 15th Anniversary 4K Restoration is in cinemas December 23rd.